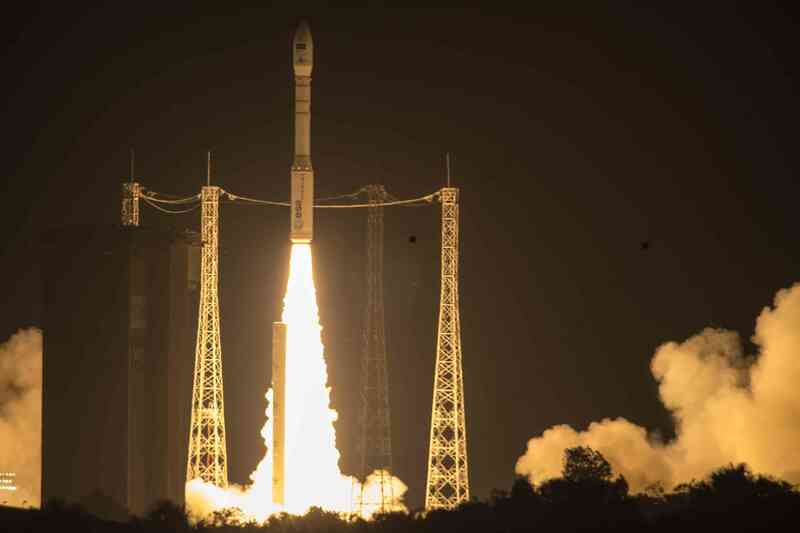 A Vega rocket is set to deliver two satellites into similar but distinct orbits for the Italian military and the French and Israeli space agencies. 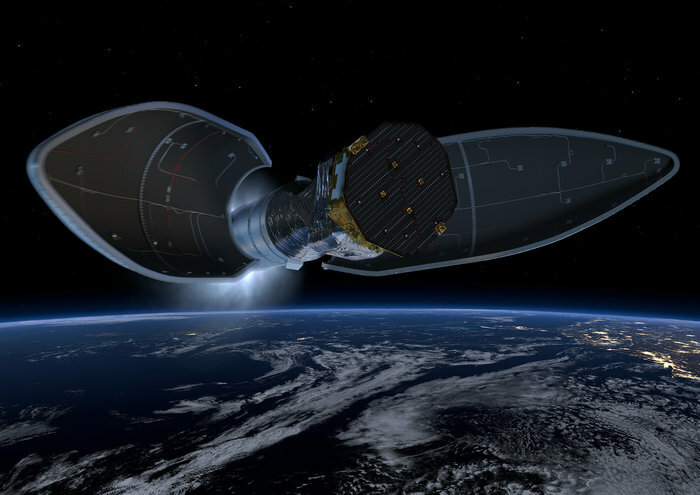 Here are the key events scheduled during the European Vega rocket’s launch from French Guiana with the Italian military’s Optsat 3000 high-resolution reconnaissance satellite and the French-Israeli Venµs environmental satellite. 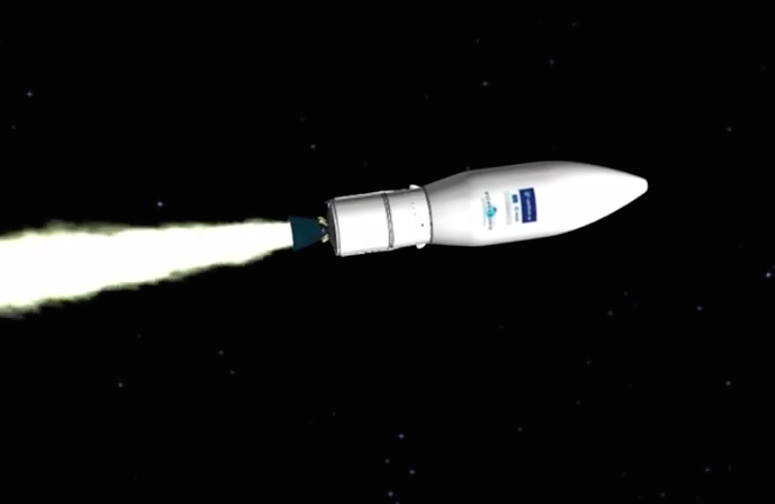 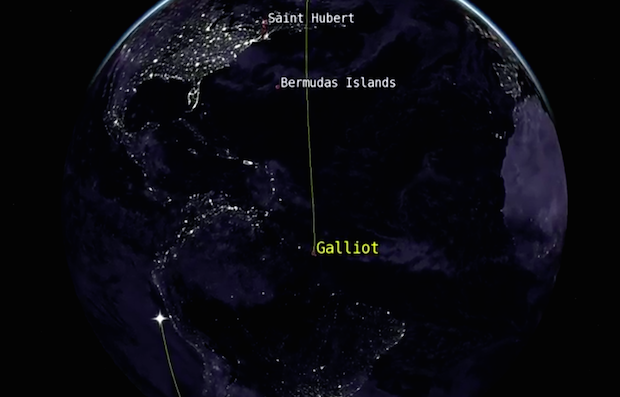 The Vega rocket surpasses the speed of sound as it soars on an easterly trajectory from French Guiana. 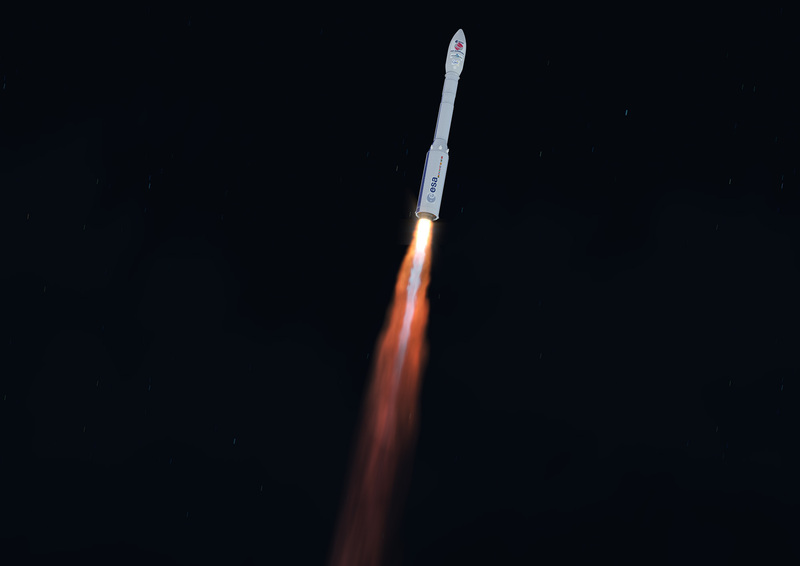 The rocket will reach Max-Q, the point of maximum aerodynamic pressure, at T+plus 53 seconds. 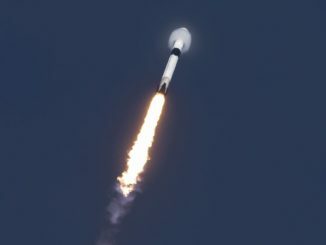 Having consumed its 194,000 pounds (88 metric tons) of solid propellant, the 9.8-foot-diameter (3-meter) P80 first stage motor is jettisoned at an altitude of about 33 miles (53 kilometers). 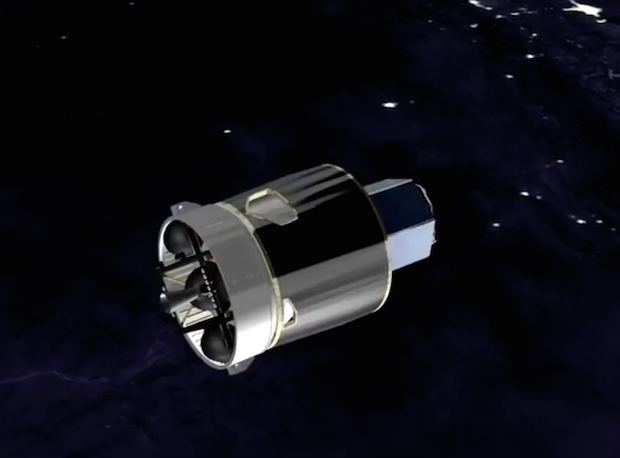 The second stage Zefiro 23 motor will ignite a second later to begin its 102-second firing. 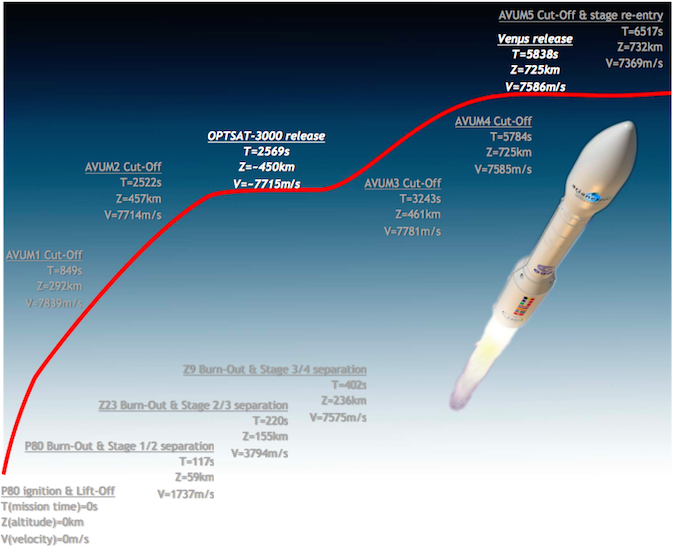 The Vega’s AVUM fourth stage is turned off after an 6-minute, 17-second burn, beginning a 26-minute coast until the engine is ignited again. 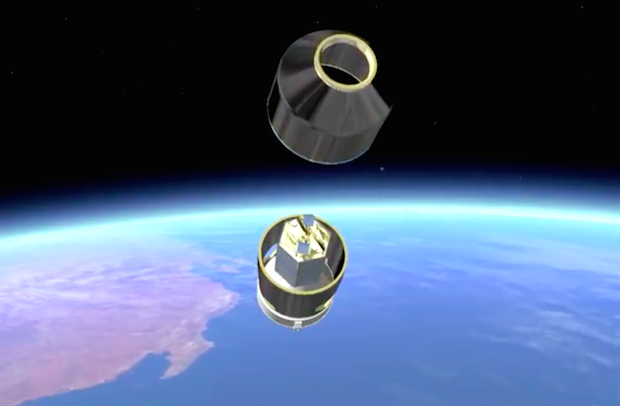 The AVUM fires a second time for a 85-second burn to put the Optsat 3000 satellite into its targeted orbit. 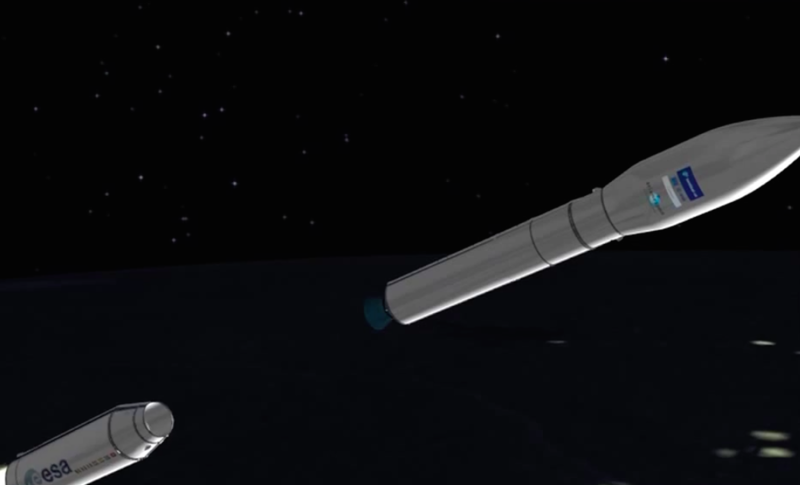 The AVUM engine shuts down after reaching a near circular orbit with an altitude of 280 miles (450 kilometers) and an inclination of 97 degrees. 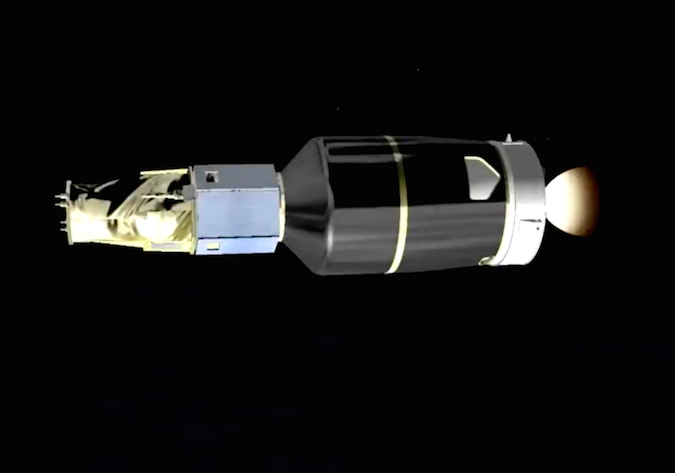 The 811-pound (368-kilogram) Optsat 3000 Italian military surveillance satellite deploys from the Vega rocket’s upper payload position. 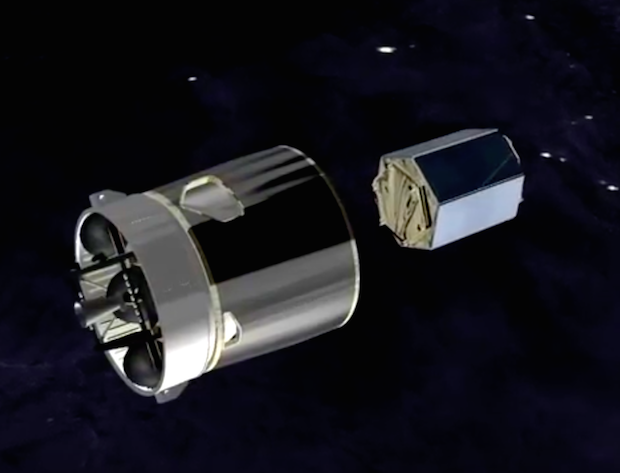 The Vespa dual-payload adapter jettisons to reveal the Venµs satellite. 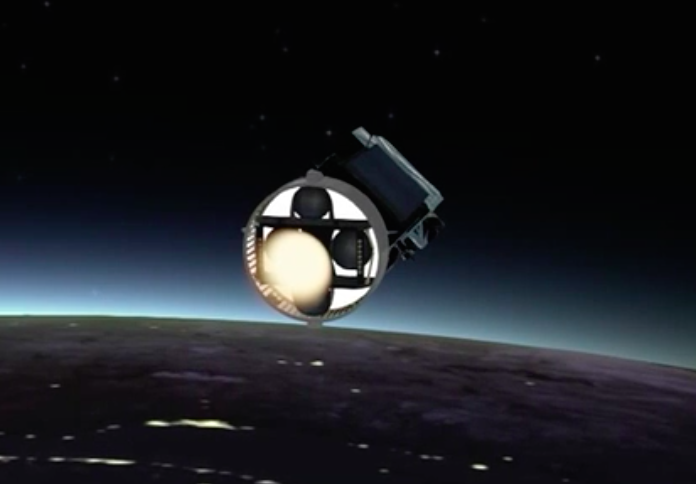 After jettisoning a cover to expose the Venµs satellite, the AVUM’s RD-843 engine fires a third time for a 58-second burn to boost into a higher orbit for deployment of Venµs. 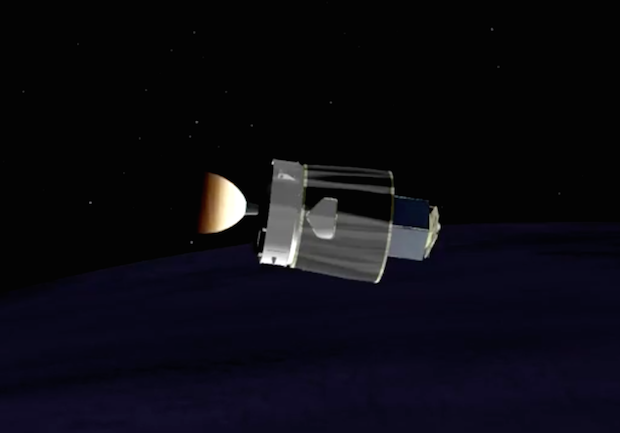 The AVUM fourth stage shuts down to begin a 41-minute coast phase before its next burn. 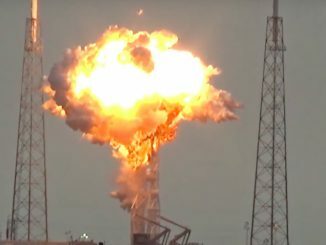 The AVUM main engine ignites a fourth time for a 64-second burn. 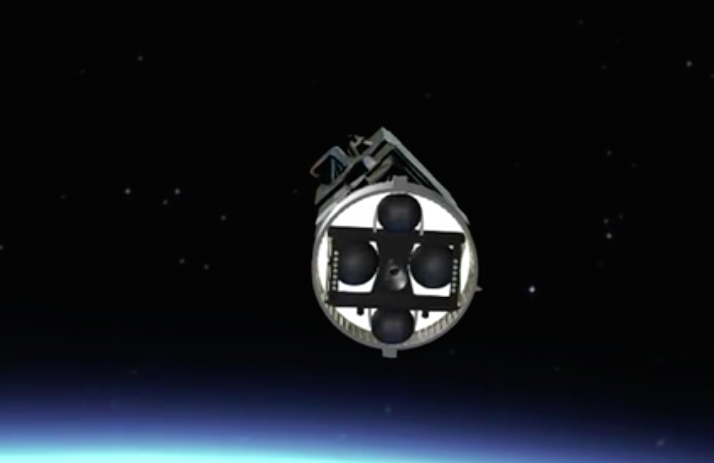 The RD-843 engine shuts down after reaching an orbit with an altitude of 447 miles (720 kilometers) and an inclination of 98 degrees. 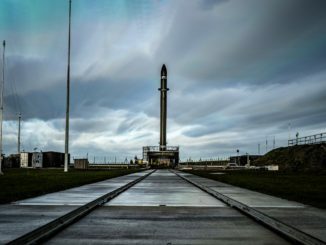 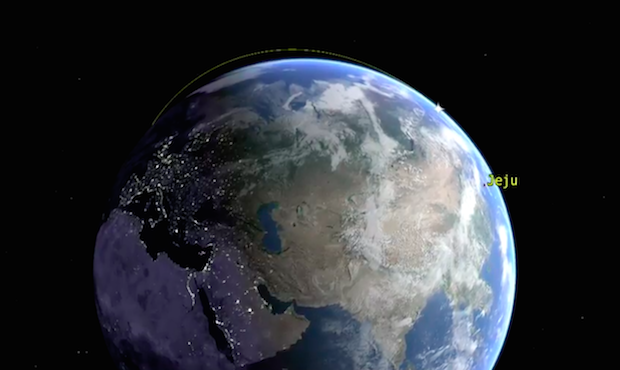 By this point in the mission, the Vega rocket has completed one orbit of the Earth and is flying over the west coast of South America. 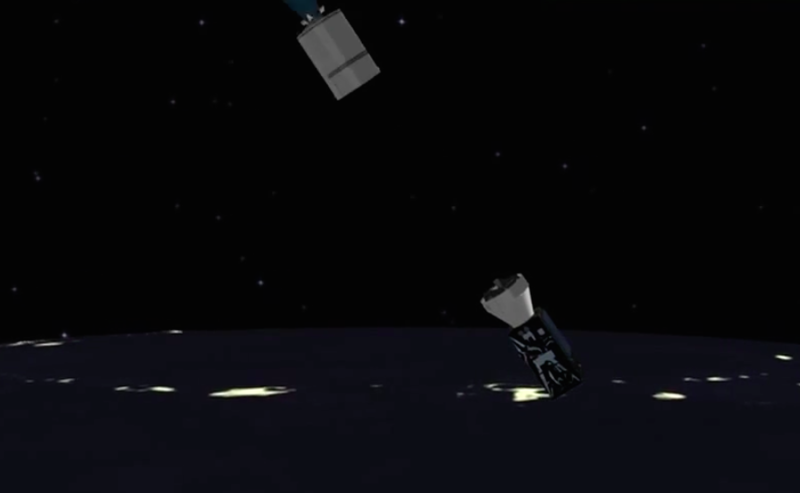 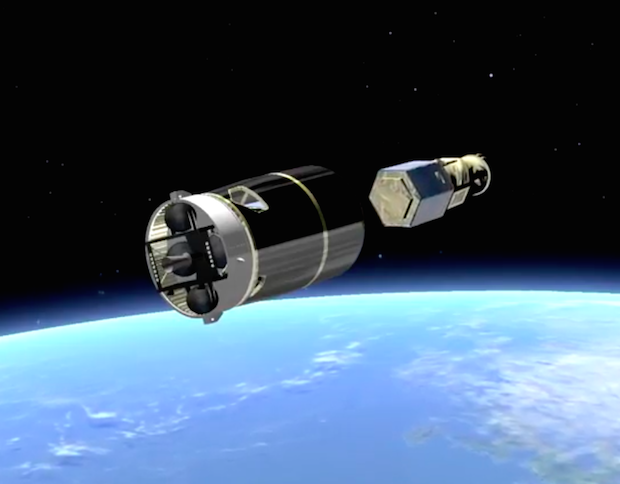 The 582-pound (264-kilogram) Venµs environmental satellite deploys from the Vega rocket’s upper stage. 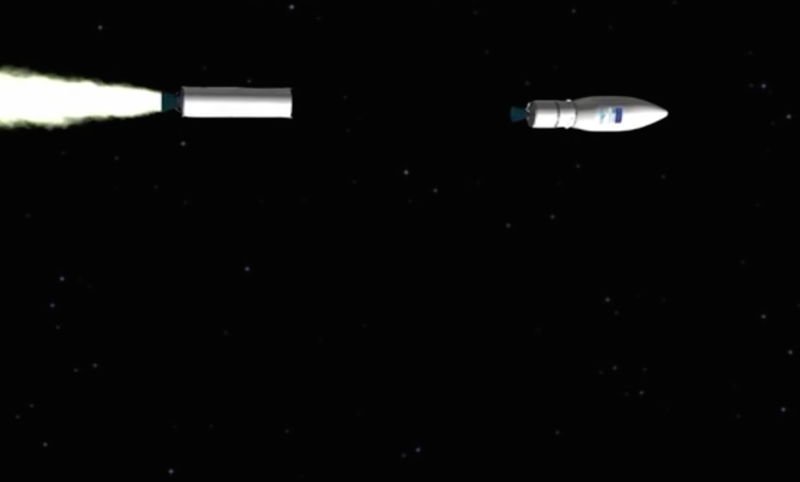 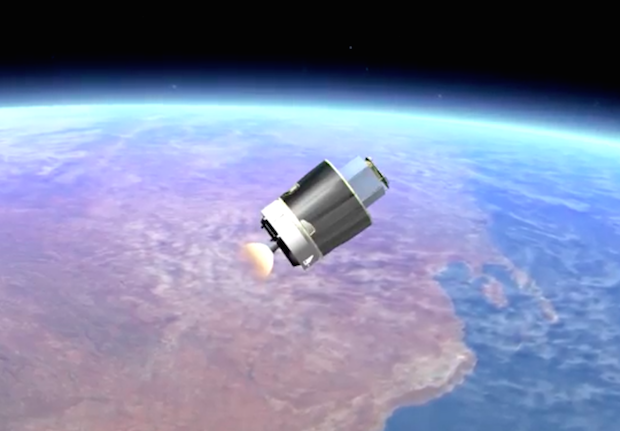 The AVUM upper stage will ignite again at T+plus 1 hour, 47 minutes, for a de-orbit burn.